The Isle of Wight has over 40 species of butterflies. Its ‘star’ is the Glanville Fritillary an orange and brown chequered butterfly with pattern of cream and orange bands and black marks on the underside of wings. It is virtually restricted to coastal landslips on the southern half of the Isle of Wight and the Channel Islands along with a few coastal locations on the mainland. Different species are active at different hours, so you can be in a single spot all day long and always find something new and intriguing. On chilly mornings, butterflies can be found sunbathing, or basking, with their wings spread or folded flat so the warm rays will elevate their body temperature. 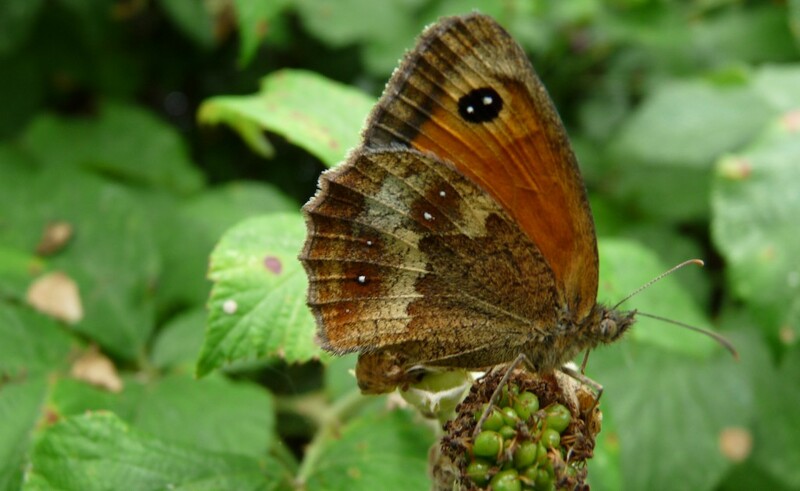 Look out for the Wood Brown butterfly in meadows and hedges. They look a bit like a Tortoiseshell but without the colour. The White Admiral, similar to the Red Admiral but with white markings and slightly smaller likes ancient woodland and honeysuckle. Good places to spot it are Walters Copse at Newtown and Parkhurst Forest. Parkhurst Forest is also good for brimstone butterflies. August is a good time to see the blue downland butterflies, the Holly Blue, the Common Blue and the Adonis Blue. More common butterflies like the Red Admirals, Peacocks and Commas will be around until September.